These groups work with local organizations, like churches, and run micro-loan programs. Catherine Mang from Mothers Clubs of Haiti says her organization has given micro-loans of $65 - like one to a woman who collected bamboo for market - that make all the difference in a person's life. "That rented a horse to go up to the mountains, cut the bamboo and bring them down to sell the bamboo in the city," Mang said. "Actually, she couldn't even do that. She was doing it and putting it on her head and carrying it down the mountain on her head. When we gave her the loan, she rented the horse. After the second or third loan, she bought the horse." The group also helps beyond micro-loans. "We've created our own store, our own distributorship so that women can buy from this distributorship which is Mothers Club-owned, which brings money into Mothers Clubs there and it also it's a cheaper way to go so that they can make more profit," she said. "This is what we say: if you get a business we want you to make a profit cause that's the only way that you can sustain your family." Mang says the organization has given 10,000 loans, with a 95 percent collection rate. After three years, the loans can be larger. She spoke Monday night at a meeting of the Latin American Solidarity Committee of the Western New York Peace Center in the Canisius College Science Center. Tracy Bramwell from First Trinity Lutheran Church in the Town of Tonawanda says her group also works with people in poor and hurricane-ravaged areas. Bramwell says the church helps with matters spiritual and temporal. 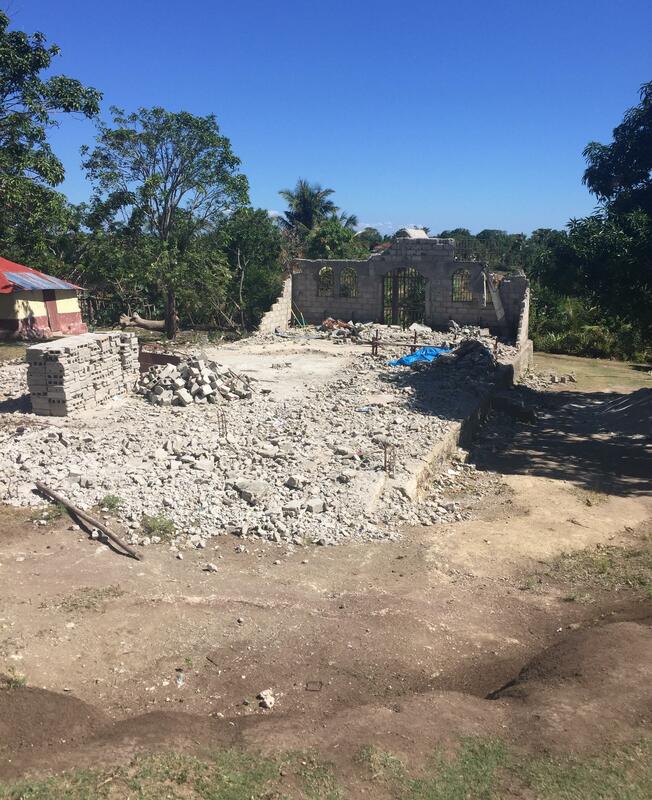 First Trinity Lutheran Church helped build this the church on the island of Ile A Vache off Haiti, but it is now in ruins after the Hurricane Matthew in October 2016. "We do read out of Bibles and we have translators that will translate our English into Creole. We also work at learning the Creole so we can speak to folks and we even sing in Creole," Bramwell said. "We do do some children's programs while we are down there. 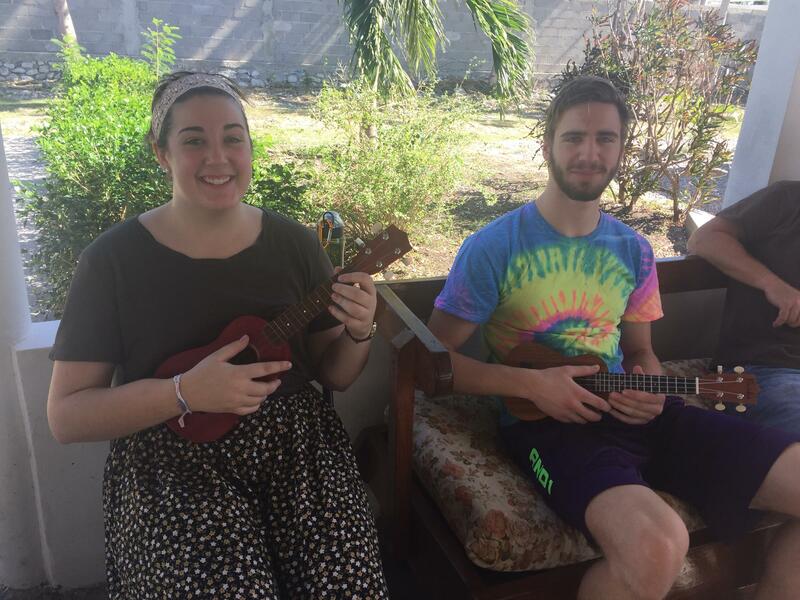 We work with an organization that are Haitian that are doing all kinds of great work in the community and really for a week all we can do is really walk beside them and so we try to empower them, bring down things like light bulbs, batteries." Bramwell says the group also helps with clothing and shoes and most recently helped build an orphanage.